One of summer's greatest pleasures is sipping an icy, refreshing beverage in the sunshine — or the nearest patch of shade. 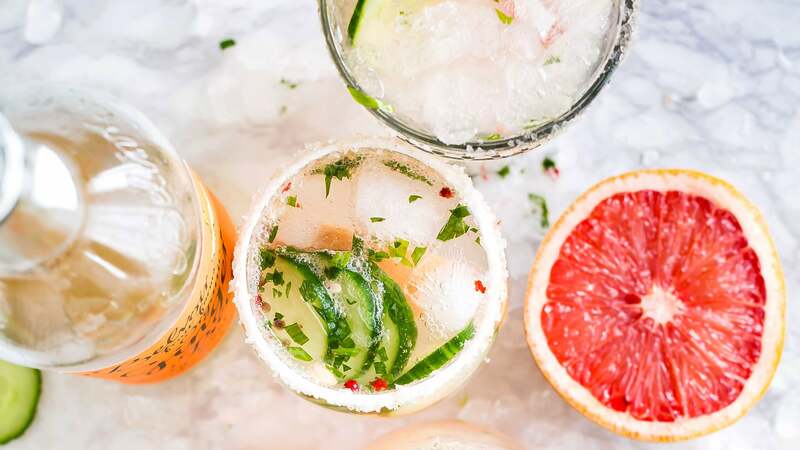 Summery cocktails and punches aplenty are finally ready for their seasonal debut, and just about all of them could do with a bit of salt. Salted Lemonade or Limeade: A scant teaspoon of table salt added to a batch of whole lemonade makes this already-delightful beverage even more refreshing. Toss in a few hunks of seedless cucumber if you like. Iced Coffee: I got a stovetop espresso maker to better satisfy my iced coffee needs, but since I use Café Bustelo, it's pretty intense for drinking straight-up. My go-to concoction is espresso poured over ice with a healthy splash of toasted cream and the barest pinch of salt to smooth out the sharp edges. We're very happy together. Bitter Cocktails: A little smooch of salt will temper any overly-strong bitter, herbal, or medicinal notes in your favourite cocktail; the Ferrari and soda is a prime candidate, as are my beloved Negronis and French 75s. It's also a great way to balance large-batch cocktails and boozy punches. If the idea of salty lemonade makes you uncomfortable, don't worry: there's no need to make your drinks discernibly salty unless you really want to. Start with a pinch, and add more to taste only if necessary. Also, before you start salting cocktails left and right, keep in mind that salt helps booze go down real smooth - which can make it easier to overdo things. Take it easy when day-drinking in the sun, friends; there's no hangover more brutal than one accompanied by a sunburn, especially if it starts at three in the afternoon.